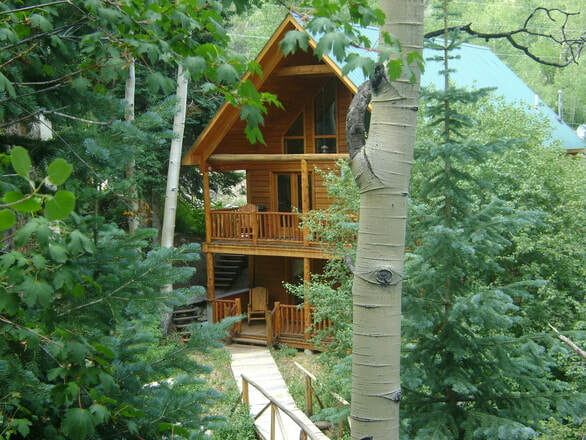 Located in the San Isabel National Forest, Sleepy Hollow Cabin is a perfect choice for a river cabin in Colorado. This river cabin in Colorado is perfect for a quiet getaway or a family reunion. The cabin features secluded riverfront landscapes, majestic views of the mountains and numerous opportunities for summer activities. Twelve people can sleep in this beautiful riverfront cabin. There are 4 bedrooms and 2 bath rooms.